Hippocrates of Kos (/hɪˈpɒkrətiːz/; Greek: Ἱπποκράτης ὁ Κῷος, translit. Hippokrátēs ho Kṓos; c. 460 – c. 370 BC), also known as Hippocrates II, was a Greek physician of the Age of Pericles (Classical Greece), who is considered one of the most outstanding figures in the history of medicine. He is often referred to as the "Father of Medicine" in recognition of his lasting contributions to the field as the founder of the Hippocratic School of Medicine. This intellectual school revolutionized medicine in ancient Greece, establishing it as a discipline distinct from other fields with which it had traditionally been associated (theurgy and philosophy), thus establishing medicine as a profession. Soranus of Ephesus, a 2nd-century Greek physician, was Hippocrates' first biographer and is the source of most personal information about him. 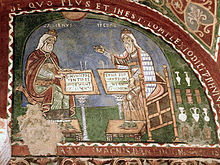 Later biographies are in the Suda of the 10th century AD, and in the works of John Tzetzes, Aristotle's "Politics", which date from the 4th century BC. Analogies have been drawn between Thucydides' historical method and the Hippocratic method, in particular the notion of "human nature" as a way of explaining foreseeable repetitions for future usefulness, for other times or for other cases. Hippocrates was reluctant to administer drugs and engage in specialized treatment that might prove to be wrongly chosen; generalized therapy followed a generalized diagnosis. Generalized treatments he prescribed include fasting and the consumption of a mix of honey and vinegar. Hippocrates once said that "to eat when you are sick, is to feed your sickness." However, potent drugs were used on certain occasions. This passive approach was very successful in treating relatively simple ailments such as broken bones which required traction to stretch the skeletal system and relieve pressure on the injured area. The Hippocratic bench and other devices were used to this end. Hippocratic medicine was notable for its strict professionalism, discipline, and rigorous practice. The Hippocratic work On the Physician recommends that physicians always be well-kempt, honest, calm, understanding, and serious. The Hippocratic physician paid careful attention to all aspects of his practice: he followed detailed specifications for, "lighting, personnel, instruments, positioning of the patient, and techniques of bandaging and splinting" in the ancient operating room. He even kept his fingernails to a precise length. Clubbing of fingers in a patient with Eisenmenger's syndrome; first described by Hippocrates, clubbing is also known as "Hippocratic fingers". Hippocrates and his followers were first to describe many diseases and medical conditions. He is given credit for the first description of clubbing of the fingers, an important diagnostic sign in chronic lung disease, lung cancer and cyanotic heart disease. For this reason, clubbed fingers are sometimes referred to as "Hippocratic fingers". Hippocrates was also the first physician to describe Hippocratic face in Prognosis. Shakespeare famously alludes to this description when writing of Falstaff's death in Act II, Scene iii. of Henry V.
Hippocrates began to categorize illnesses as acute, chronic, endemic and epidemic, and use terms such as, "exacerbation, relapse, resolution, crisis, paroxysm, peak, and convalescence." Another of Hippocrates' major contributions may be found in his descriptions of the symptomatology, physical findings, surgical treatment and prognosis of thoracic empyema, i.e. suppuration of the lining of the chest cavity. His teachings remain relevant to present-day students of pulmonary medicine and surgery. 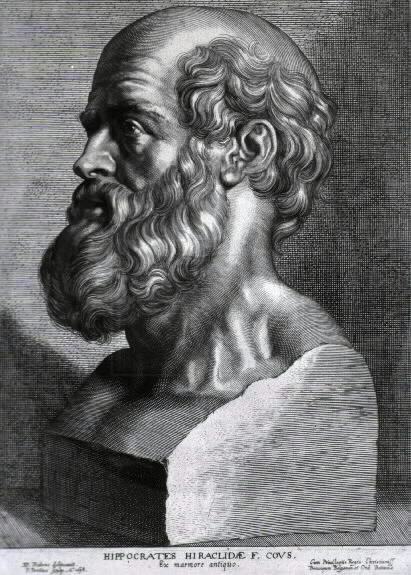 Hippocrates was the first documented chest surgeon and his findings and techniques, while crude, such as the use of lead pipes to drain chest wall abscess, are still valid. The Hippocratic Corpus (Latin: Corpus Hippocraticum) is a collection of around seventy early medical works collected in Alexandrian Greece. It is written in Ionic Greek. The question of whether Hippocrates himself was the author of any of the treatises in the corpus has not been conclusively answered, but current debate revolves around only a few of the treatises seen as potentially by him. Because of the variety of subjects, writing styles and apparent date of construction, the Hippocratic Corpus could not have been written by one person (Ermerins numbers the authors at nineteen). The corpus came to be known by his name because of his fame, possibly all medical works were classified under 'Hippocrates' by a librarian in Alexandria. The volumes were probably produced by his students and followers. The Hippocratic Oath, a seminal document on the ethics of medical practice, was attributed to Hippocrates in antiquity although new information shows it may have been written after his death. 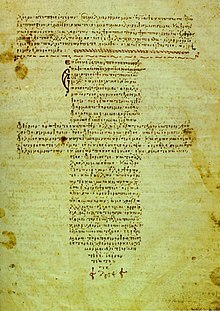 This is probably the most famous document of the Hippocratic Corpus. Recently the authenticity of the document's author has come under scrutiny. While the Oath is rarely used in its original form today, it serves as a foundation for other, similar oaths and laws that define good medical practice and morals. Such derivatives are regularly taken today by medical graduates about to enter medical practice. Hippocrates is widely considered to be the "Father of Medicine". His contributions revolutionized the practice of medicine; but after his death the advancement stalled. So revered was Hippocrates that his teachings were largely taken as too great to be improved upon and no significant advancements of his methods were made for a long time. The centuries after Hippocrates' death were marked as much by retrograde movement as by further advancement. For instance, "after the Hippocratic period, the practice of taking clinical case-histories died out," according to Fielding Garrison. 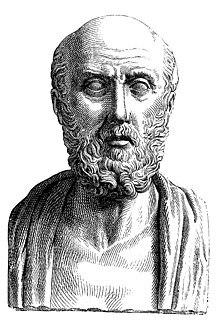 After Hippocrates, the next significant physician was Galen, a Greek who lived from AD 129 to AD 200. Galen perpetuated the tradition of Hippocratic medicine, making some advancements, but also some regressions. In the Middle Ages, the Islamic world adopted Hippocratic methods and developed new medical technologies. After the European Renaissance, Hippocratic methods were revived in western Europe and even further expanded in the 19th century. Notable among those who employed Hippocrates' rigorous clinical techniques were Thomas Sydenham, William Heberden, Jean-Martin Charcot and William Osler. Henri Huchard, a French physician, said that these revivals make up "the whole history of internal medicine." According to Aristotle's testimony, Hippocrates was known as "The Great Hippocrates". Concerning his disposition, Hippocrates was first portrayed as a "kind, dignified, old country doctor" and later as "stern and forbidding". He is certainly considered wise, of very great intellect and especially as very practical. Francis Adams describes him as "strictly the physician of experience and common sense." His image as the wise, old doctor is reinforced by busts of him, which wear large beards on a wrinkled face. Many physicians of the time wore their hair in the style of Jove and Asklepius. Accordingly, the busts of Hippocrates that have been found could be only altered versions of portraits of these deities. Hippocrates and the beliefs that he embodied are considered medical ideals. Fielding Garrison, an authority on medical history, stated, "He is, above all, the exemplar of that flexible, critical, well-poised attitude of mind, ever on the lookout for sources of error, which is the very essence of the scientific spirit." "His figure... stands for all time as that of the ideal physician," according to A Short History of Medicine, inspiring the medical profession since his death. The Travels of Sir John Mandeville reports (incorrectly) that Hippocrates was the ruler of the islands of "Kos and Lango" [sic], and recounts a legend about Hippocrates' daughter. She was transformed into a hundred-foot long dragon by the goddess Diana, and is the "lady of the manor" of an old castle. She emerges three times a year, and will be turned back into a woman if a knight kisses her, making the knight into her consort and ruler of the islands. Various knights try, but flee when they see the hideous dragon; they die soon thereafter. This is a version of the legend of Melusine. ^ Aristotle. "Politics Book VII". Internet Classics Archive. ^ "L'influence de la médecine hippocratique sur la Guerre du Péloponnèse de Thucydide". www.academia.edu. Retrieved 2019-04-18. ^ Starr, Michelle (18 December 2017). "Ancient Poo Is The First-Ever Confirmation Hippocrates Was Right About Parasites". Science Alert. Retrieved 18 February 2018. ^ Smith, Wesley D. (2002). "The Hippocratic Tradition" (PDF). Archived from the original (PDF) on 2017-10-18. Retrieved 18 October 2017.